Coffee and lounging on the couch! Gotta love spring break! I actually had time to sit down and create a few things! 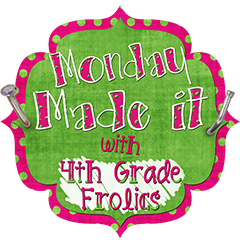 Thanks to Tara over at 4th Grade Frolics for the Monday Made It linky! Love Dollar Tree! 5 cases for $1! 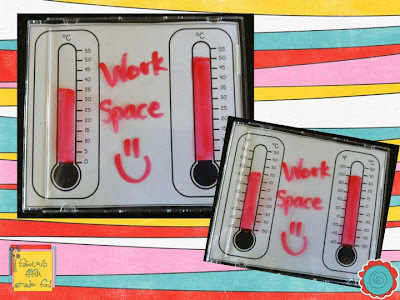 I made templates for the inside to create mini write-on boards! These elapsed time cards are differentiated from Teaching with a Mountain View's TpT site. 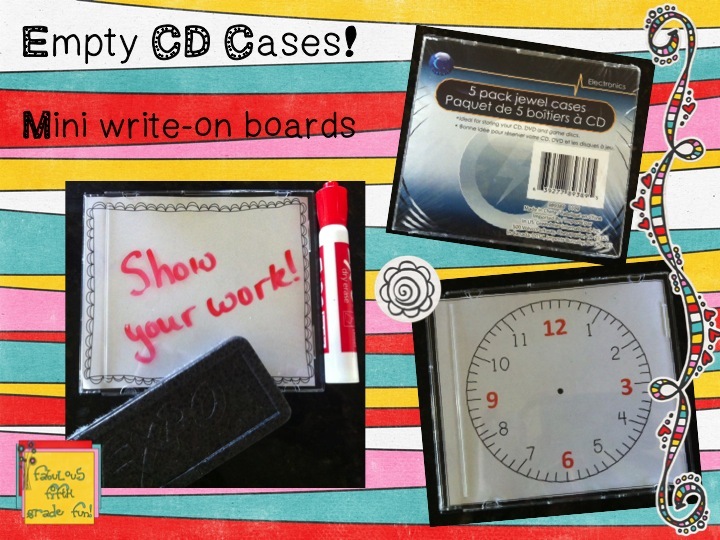 They are a perfect match and the cd cases with the clock template. Printing, cutting and laminating later today! 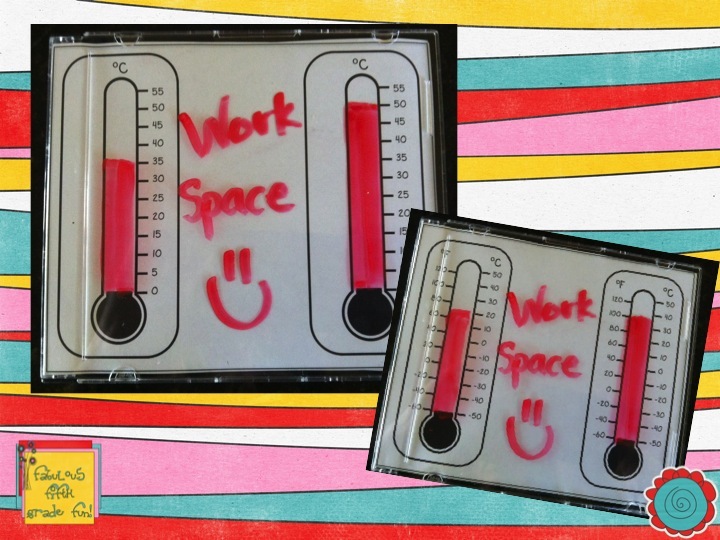 I used the thermometers from Ashley Hughes' clip art collection! The blank CD holders are great for spinners. I created these for a review of probability. 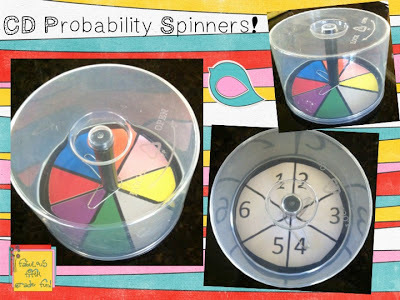 Large paperclip is used as the spinner! Head on over to 4th Grade Frolics to see what others are creating! How cute! 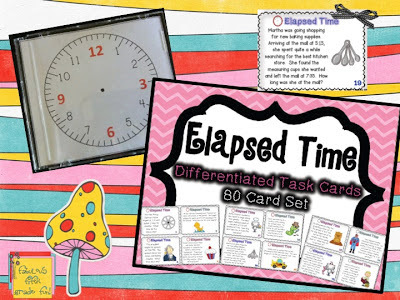 And what a creative resource! Monday made it was my favorite part of last summer. I need to get back into DIY! I think my students will like the change. 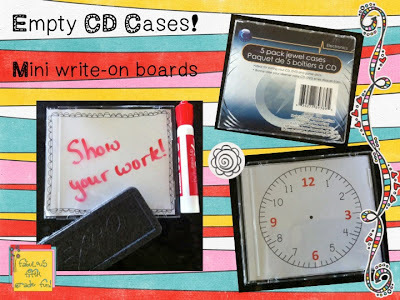 I love the CD case use! I'm always looking for ways to upcycle stuff! Also, love the muffin tin game! I'm your newest follower! The muffin tin game is a huge hit...and cheap!